Ask my kids and they’ll tell you I’m a pretty pathetic pumpkin carver. Or I was, until I discovered free stencils to guide me to the gory. And I watched this video to teach me the basics, like how to keep my pumpkin top from falling inside. Better Homes & Gardens : Find a selection of free stencils for classic Halloween Jack o’ Lantern faces. There also are contemporary choices, including a happy fun face, dogs, cats, even a stencil for a “TextMe” design. Plus, there are additional free downloads for basic step-by-step pumpkin carving techniques and pumpkin painting. Click here for the direct link to the BHG pumpkin stencil page. 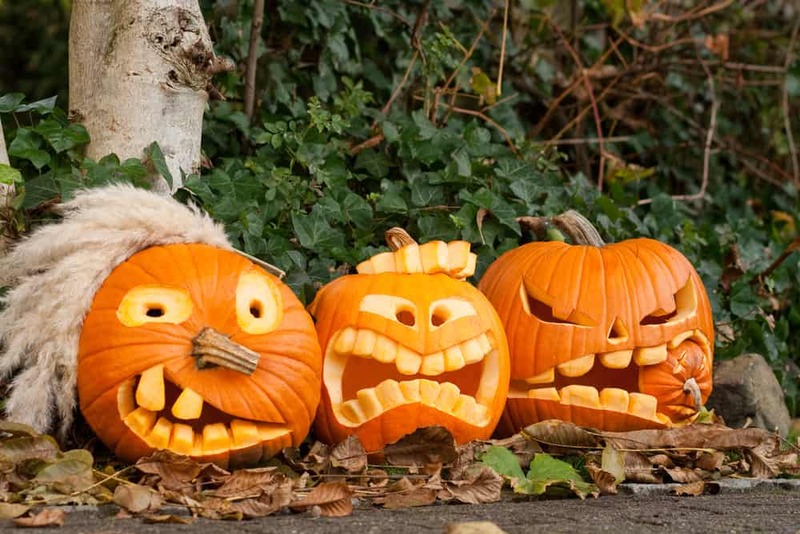 Real Simple: Carve a cat, a bat, a witch and other creepy things on your Halloween pumpkin. You could also use these patterns for cut outs or frosty stencils on windows. 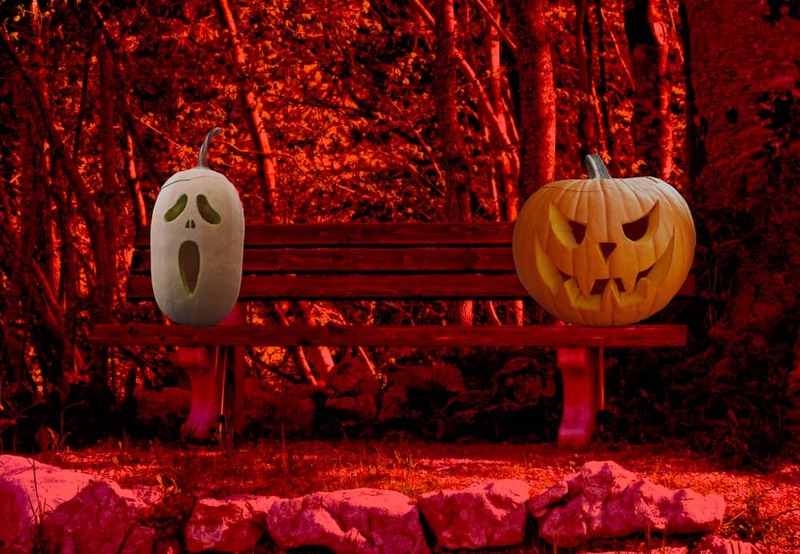 Outerplaces.com : A good Halloween you will have if you carve a pumpkin using these templates. Find Star Wars characters such as Yoda and R2D2, Dr. Who’s Tardis, and Baby Groot from Guardians of the Galaxy. Want something a little less scary? Try these templates from a Reader’s Digest compilation. Cute cat faces, winking Jacks or cursive messages give you a more kid-friendly porch display. The Pumpkin Lady offers a variety of free themed templates – find your own favorite from dozens. Huffington Post lists 40 pumpkin faces to carve including characters from favorite films, like Olaf from Frozen, or adorable Hello Kitty. Woman’s Day never ceases to come up with fun ideas for pumpkin carving. Find 52 ideas for carving your pumpkin, from fireplace flames to a group of characters from The Wizard of Oz. Spookmaster has a page full of free patterns for pumpkin carving. Look for traditional designs, animals or sports teams. Do your kids love Tom and Jerry cartoons? WB Kids has a Tom, Jerry or Spike pumpkin stencil, free to download. Superheroes and villains can be found at OrangeandBlackPumpkins.com. Find a Dia de las Muertos pumpkin face at PumpkinCraze.com. The site also offers free patterns for creepy clowns, spiders, and even a Hannibal Lecter stencil. Mix it up a little: Carve a barn into your pumpkin. Or a cabin, or a lighthouse. Midwest Living gives you some harvest-themed ideas. If you want to carve outside the box – or pumpkin in this case – take a whack at this beer cooler pumpkin for your Halloween bash. 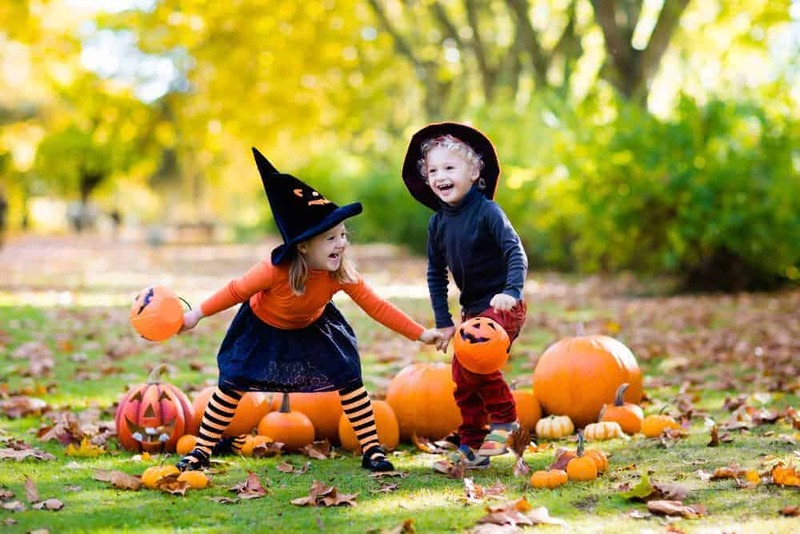 Make a pumpkin totem pole to guide little witches and goblins to your door. Turn your android phone into a Jack O’Lantern complete with flickering candle. Instead of carving a face into that pumpkin, use it as a planter for fall flowers. Or turn it into a serving bowl at your Halloween bash.